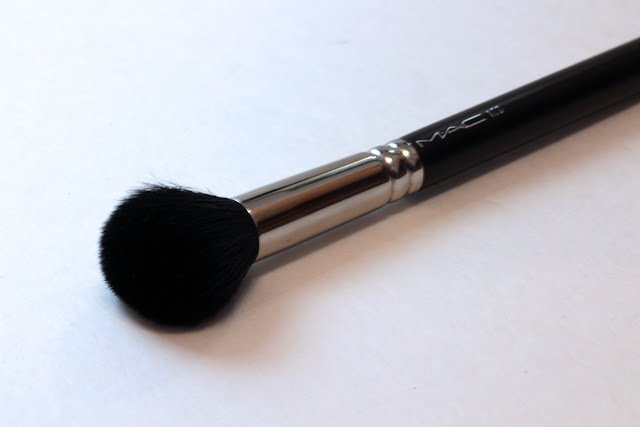 I love multipurpose makeup brushes and the MAC 109 is one of my favourites. The shape and density of this brush is great for a lot of things. I use it for blush, bronzer, highlighter. 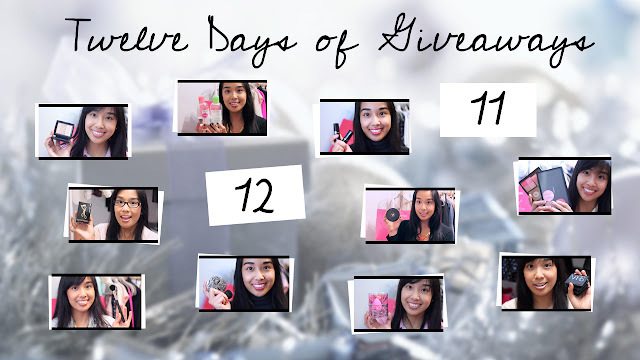 You've probably seen it mentioned in a few videos within this giveaway series alone. It's great for packing on colour, buffing out harsh lines, or adding definition to the face with contour. The downside is that is sheds. A lot! Especially when I first got it and the first time I washed it. After a few months of use, I will notice a hair fall every once in a while, but the brush still looks full and dense. It's a great brush for a multitude of products, from powder to cream, and I use it every single day. If you'd like to win a MAC 109 brush, just enter below. All you need to know is that this giveaway is open worldwide and it will end on December 13th, 2012 at 12:00 AM EST. The winner will be contacted via email. Plus, I will announce the winner here and on facebook / twitter. My favourite multi-purpose brush would be the Flat Kabuki brush from Sigma. I love the duo-fibre brush, good for light setting powder, blush, bronzer or highlighter! At the moment I'm using mostly sponges and my kabuki brush for powders. love love this brush! mine looks soo worn ... the hairs in the middle have worn down =( .. I really like Mac's blush brush...can't remember the number. i love the kabuki brush by bareminerals:) fdt & veil & contouring! I'm using an old body shop- Really need to upgrade! I love the mac 129 brush! My angled eyeliner brush!! Good for brows and eyeliner! I use my MAC 188 brush daily! Would love to try the 109 out! I love my Sigma F80! I've really been wanting to try this brush! It looks perfect. My favourite brush is the inglot 4ss brush. It is very similar to the Mac109 :). I don't really have a favourite multipurpose brush, but I do like elf's Studio face brushes. I haven't found a great multipurpose brush that right for me yet. i haven't found a great multipurpose brush yet, but i've been enjoying the big bronzer brush from ecotools! My angled eye liner brush for my brows! My Sedona Lace Vortex Tulip face brush. The pointed tip makes it perfect for highlight and contour placement, and I "smoosh" the brush against my skin to blending out product. I use the side of the tip to apply brush too. Essentially, I can use this one brush to do my entire face! I love the real techniques flat top brush! I don't really have a favourite brush that I use. I have a blush brush that's the perfect size for using as contour and blush. I love my small stippiling brushes for foundation, contouring, highlighting, and adding blush! I love my mac 217! I use no name brushes I bought in Sunday Market. i have﻿ always wanted to try the MAC 109 brush! i don't really have any brushes that are multipurpose, so i'm definitely looking for one! ;) i can say that my favourite brush ever is the real techniques expert face brush. Still looking for a great multi-purpose brush! The elf flat top powder brush! My favorite multipurpose brush is my real techniques buffing brush. Great for foundation, blushes and powder. I use my real techniques buffing brush for various things. I quite like Real Techniques brushes! I love my real techniques brushes! My expressions bronzer/blush brush. It can probably be used for the face too! I use the MAC 129. I use the elf powder brush! I love MAC's 217 brush, it is sooo versatile! I like using Hakuhodo's blender brush for overall face. I basically just have one purpose brushes! Haven't tried any. Would love to give this a shot! I haven't tried any multipurpose brushes yet. i love my real techniques blush brush!